A church choir prophesies, that is, proclaims God’s Word to the worshippers. That is just one of the Old Testament worship principles even modern churches should keep in mind. 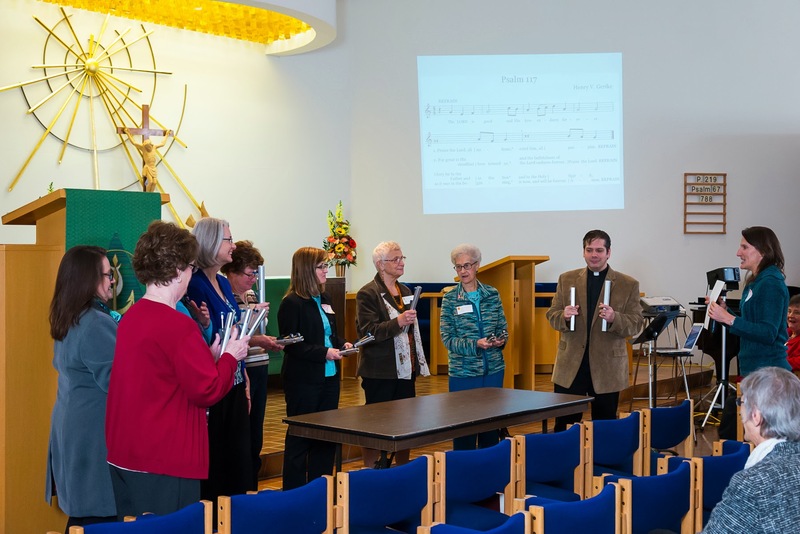 Such insights into worship and music were part of Heidi Gallas’s presentation on “Music in the Old Testament” shared with the seventy-five attendees at the Concordia Lutheran Theological Seminary Guild’s Harvest Day last Saturday, 19 October, from 9 am to noon. Heidi punctuated her presentation with lots of projected illustrations and even a practice session with tone-chimes. In addition to the presentation there was time for a hymn sing, a brief business meeting, morning chapel led by students Kurt Schultz and John Nieminen, and of course student introductions and a catered lunch. Early arrivals brought a variety of items for the food pantry, which serves as a steady source of supply for the students throughout the year. Coffee and muffins and conversation were available in generous quantities until the welcome led by Seminary President, Dr Thomas Winger. Guild President Judy Zastrow conducted the business session. 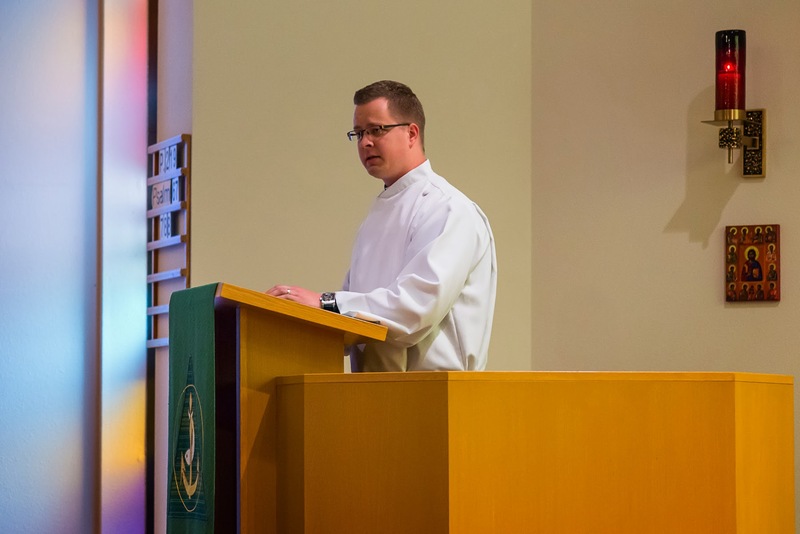 John Nieminen’s sermon text was the cleansing of the ten lepers. He pointed out how sin, like leprosy, isolates us, yet in Christ we find a cure better than good health. 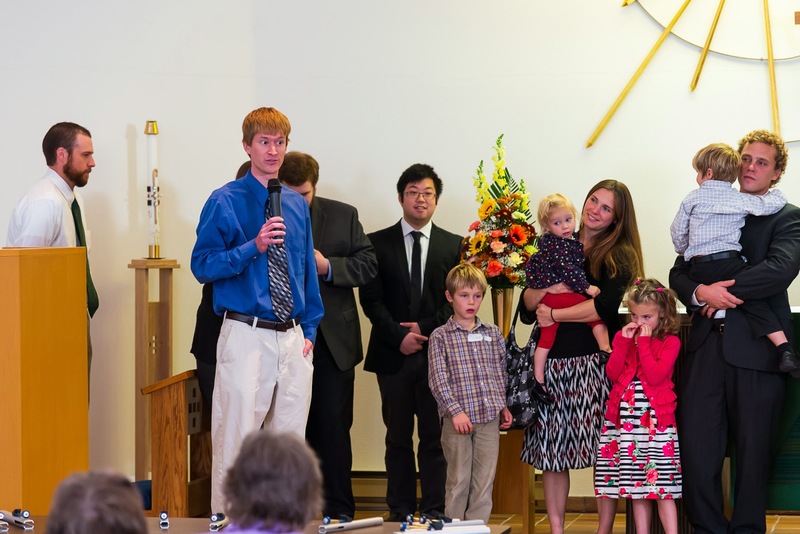 Students were then paired with adopting congregations for the luncheon that followed.